We’d love your help. 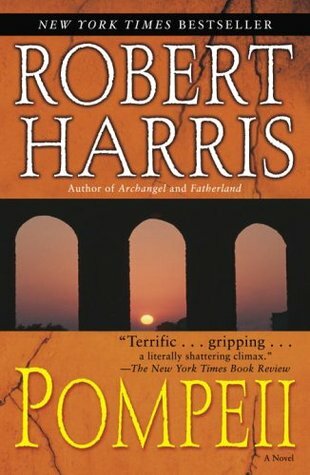 Let us know what’s wrong with this preview of Pompeii by Robert Harris. All along the Mediterranean coast, the Roman empire's richest citizens are relaxing in their luxurious villas, enjoying the last days of summer. The world's largest navy lies peacefully at anchor in Misenum. The tourists are spending their money in the seaside resorts of B With his trademark elegance and intelligence Robert Harris recreates a world on the brink of disaster. But the carefree lifestyle and gorgeous weather belie an impending cataclysm, and only one man is worried. The young engineer Marcus Attilius Primus has just taken charge of the Aqua Augusta, the enormous aqueduct that brings fresh water to a quarter of a million people in nine towns around the Bay of Naples. His predecessor has disappeared. Springs are failing for the first time in generations. And now there is a crisis on the Augusta's sixty-mile main line—somewhere to the north of Pompeii, on the slopes of Mount Vesuvius. To ask other readers questions about Pompeii, please sign up. Not really a question unless its, don't you just consume historical fiction when the history is as fascinating as the intrigue? To focus on the water systems of Pompeii and surrounding towns as effected by the imminent volcanic eruption is genius and I can't put this book down. Think it is a great way to add interest to an event we already know of the outcome. Baz Brilliant book. I agree that fiction with a historical backdrop often makes for a really good read & this is no difference. This is the story of a latter day Super Mario, an Italian plumber who overcomes very difficult challenges to fix the water supply to Napoli and surrounding areas before the local volcano erupts to ruin everything for everybody. OK, I admit that I am grossly trivialising a tremendous story, which is really about Marcus Attilius Primus, the aquarius, or chief water engineer, who is sent to the Bay of Naples to manage the water supply to all of the towns in the area. The main artery of the supply i This is the story of a latter day Super Mario, an Italian plumber who overcomes very difficult challenges to fix the water supply to Napoli and surrounding areas before the local volcano erupts to ruin everything for everybody. OK, I admit that I am grossly trivialising a tremendous story, which is really about Marcus Attilius Primus, the aquarius, or chief water engineer, who is sent to the Bay of Naples to manage the water supply to all of the towns in the area. The main artery of the supply is the aqueduct, Aqua Augusta, which Attilius's grandfather may have had a hand in building under the supervision of the great Agrippa. Water engineering has been the career path of Atillius's family back through at least four generations. From the off, Attilius is up against it. His predecessor disappeared mysteriously, and neither his team of engineers and slaves nor those masters who govern Naples and the surrounding area, are inclined to trust the new aquarius. The first chapter opens with the horrendous execution of a slave who has been held responsible for the deaths of one of the local lord's prize fish. The lord's daughter, accompanied by the unfortunate slave's mother, urgently seek the help of Attilius, who quickly discovers that it is something in the water which has killer the precious fish. But they are too late to save the wretched slave. Events unfold and develop during the two days leading up to the famous eruption which buried Pompeii. This is a rivetting read, if ever there was one. As you would expect, there are many dangers to overcome, and, as you read, you will be wondering who will survive and who will not. This does not become clear until the final pages. I have to confess that I was wishing for the demise of certain characters, whilst hoping for the survival of others. That is a sign of how well Robert Harris engages the reader with the actors in this story. I have been a bit fascinated with the idea of Pompeii since I was a girl and the National Geographic ran photos of the people frozen in mid-flight trying to escape the horrors of the eruption of Vesuvius. Robert Harris has visited Pompeii through the story of Attilius, the engineer in charge of the aqueduct that served the area. Before the eruption, before the horror, there is a problem with the flow of the water. Attilius seeks to repair the breach in the aqueduct and this leads him to be in Po I have been a bit fascinated with the idea of Pompeii since I was a girl and the National Geographic ran photos of the people frozen in mid-flight trying to escape the horrors of the eruption of Vesuvius. Robert Harris has visited Pompeii through the story of Attilius, the engineer in charge of the aqueduct that served the area. Before the eruption, before the horror, there is a problem with the flow of the water. Attilius seeks to repair the breach in the aqueduct and this leads him to be in Pompeii at exactly the wrong time. I did enjoy reading the story. There was the tension of knowing what was to come and the wish to see Attilius survive the inevitable. I can imagine that much of what people felt and the reactions that came too late were exactly as Harris depicted. However, I could never become truly invested in his characters and I therefore felt very little for their plight. It seemed a bit trite, like a 1970s disaster movie (think Poseidon Adventure), although I do not know what I could have expected him to do with this foregone scenario. Not a bad tale, just not a great one. I would still like to go and see the ruins of Pompeii for myself. It is easy to form a tightness in the chest when one thinks about how horrible this must have been for the actual people who lived there. How hopeless it was in those moments before the cloud of fiery gas spewed down the side of the mountain and froze them in time forever. Geology meets Volcanology meets All Round Mr Nice Guy. Having read Imperium by Robert Harris few short months ago I found that I quite enjoyed his uncomplicated writing style. I in no way mean unsophisticated or simplistic, for he is an author who can comfortably shoulder the mantle of an old fashioned storyteller. Many authors try to be story tellers, but they over write or have not the skill and under write, or get caught up in too many tangents, thinking that everything they do has to be with Geology meets Volcanology meets All Round Mr Nice Guy. Many authors try to be story tellers, but they over write or have not the skill and under write, or get caught up in too many tangents, thinking that everything they do has to be with the single intent of delivering the next great International Epic Bestseller. Pompeii certainly became an International Bestseller, but it was not really an epic. It was a story of a man - an Aquarius - and was melded with a intriguing blend of geology, volcanology and precise Roman history. Very well done, in my opinion, but no epic. I do not know if the geological and volcanological elements would put others off, whether others may prefer a story about people only, but I happened to find them extraordinarily fascinating. I have a feeling the book was not what some may expect. Where you may have expected a Wilbur Smith type epic - multiple characters and their lives in the lead up to the Mt Vesuvius explosion - that is not what you got. Robert Harris gave you instead, Attilius (the all round Mr Nice Guy), an Aquarius who came to the Bay of Naples as a result of the mysterious disappearance of the former Aquarius, Exomnius, and took over the running of the Aqueducts. And for the most part, this is Attilius' story as he finds the water supply in disarray and bit by bit, clue by clue, he starts to unravel the causes. Will it be in time though? Obviously, since everyone knows what happened to Pompeii and Herculaneum, everyone will realise he cannot be in time to do anything about those disasters, but can he be in time to avert others? I found the final third of the book to be the most compelling. The eruption and the various stages of the eruption and how it might be experienced from different places in the surrounding area. In the towns, at the base of the volcano, on the water, in the Bay. I was mesmerised by it all. There was a moment where I thought the book perhaps could have finished and yet it went on. And there was a scene or two that seemed inserted to make the book longer as those scenes kind of tripped up the urgent momentum of the book during the eruption. But I had to give the book 5 stars. It deserved it in my opinion. For despite its flaws, it had me at ave.
*nb: ave is a Roman hello. It should be a Two-For-One: A suspense novel to take to the beach; and some insight into life in the Roman Empire and the eruption of Mt. Vesuvius. (And maybe a small tutorial in primitive plumbing.) Unfortunately, it turns into an 0-For-One. The plot is serviceable. Marcus Attilius Primus is an engineer newly in charge of the section of aqueduct that services Pompeii. He investigates the mysterious failure of the water supply and along the way, discovers that his predecessor was corrupt. He fall It should be a Two-For-One: A suspense novel to take to the beach; and some insight into life in the Roman Empire and the eruption of Mt. Vesuvius. (And maybe a small tutorial in primitive plumbing.) Unfortunately, it turns into an 0-For-One. The plot is serviceable. Marcus Attilius Primus is an engineer newly in charge of the section of aqueduct that services Pompeii. He investigates the mysterious failure of the water supply and along the way, discovers that his predecessor was corrupt. He falls in love and is stalked by bad guys who want to shut him off permanently. Meanwhile, Vesuvius prepares to make it all moot. But the characters are caricatures. The hero is REALLY, REALLY NOBLE, the villain is AWFULLY, AWFULLY EVIL, and the love interest is darned good looking. Life in the Empire is similarly exaggerated with lingering attention to the grotesque and decadent but almost nothing about how most people lived. I was relieved when Vesuvius erupted. The waters have stopped flowing from the aquedect - who you gonna call? Dambusters! The water engineer heads out amid widespread corruption in Pompeii, thwarts a murder plot, finds out what happened to his predecessor, falls in love, and investigates the ominous rumbling from the nearby Vesuvius. Sounds good no? Harris is good at building up the air of menace in the days preceding the eruption. Every action can be looked at as minor compared to the devastation coming and he really does a great j The waters have stopped flowing from the aquedect - who you gonna call? Dambusters! The water engineer heads out amid widespread corruption in Pompeii, thwarts a murder plot, finds out what happened to his predecessor, falls in love, and investigates the ominous rumbling from the nearby Vesuvius. Sounds good no? Harris is good at building up the air of menace in the days preceding the eruption. Every action can be looked at as minor compared to the devastation coming and he really does a great job of creating an atmosphere of anticipation in the reader. He's also done a great job at recreating the feel of living in Roman times, as well as supplying a lot of information on Roman aqueducts giving you a sense of awe and genius for the Roman Empire. Where he falls down though is in the characterisation. Attilius, the engineer, is the hero. He's a stoic, good looking gent who sends his pay home to his mother and sister in Rome. He doesn't take bribes, he's hardworking, and is disliked for his strict attention to detail (all for the good of Rome naturally). He's so perfect in fact that he's boring. But he's not alone. A equally dreary love interest is introduced who meets the engineer no more than 3 times briefly but over the course of those 3 encounters the reader is supposed to buy that they have fallen madly in love and would die for each other. The whole reason for the engineer to rush back to Pompeii after escaping it is because of this love interest and as such everything feels very contrived. It's this lack of convincing that stops the reader in their tracks because there's no real reason, once the eruptions start, to care what the engineer's motivations are. He's a paper thin cardboard cut out and so is his love interest. So what? The third act also falls down. Harris does a great job of setting the scene but once Vesuvius erupts he somehow manages to make it boring. For a thriller to fail in the third act is not a good sign and I could quite easily put the book down and do anything else. Πάντα θαύμαζα τα ρωμαϊκά υδραγωγεία,αυτό το θαύμα της μηχανικής,και πάντα με γοήτευε η ιστορία της έκρηξης του Βεζούβιου και η θαμμένη πολιτεία της Πομπηίας.Οπότε αυτό ήταν το ιδανικό βιβλίο για μένα. Θα πω το υπέρτατο κλισέ(δεν μπορώ να το αποφύγω) που λένε συνήθως όσοι γράφουν τις απόψεις τους για τα βιβλία που διάβασαν(όχι το "διαβάζεται απνευστί",το άλλο ): o Χάρις ,λοιπόν,ζωντανεύει την ιστορία.Σε κάνει να νιώθεις οτι είσαι εκεί,οτι περπατάς δίπλα στον Ατίλιο,ότι νιώθεις τη ζέστη,την ξηρασία Πάντα θαύμαζα τα ρωμαϊκά υδραγωγεία,αυτό το θαύμα της μηχανικής,και πάντα με γοήτευε η ιστορία της έκρηξης του Βεζούβιου και η θαμμένη πολιτεία της Πομπηίας.Οπότε αυτό ήταν το ιδανικό βιβλίο για μένα. Θα πω το υπέρτατο κλισέ(δεν μπορώ να το αποφύγω) που λένε συνήθως όσοι γράφουν τις απόψεις τους για τα βιβλία που διάβασαν(όχι το "διαβάζεται απνευστί",το άλλο ): o Χάρις ,λοιπόν,ζωντανεύει την ιστορία.Σε κάνει να νιώθεις οτι είσαι εκεί,οτι περπατάς δίπλα στον Ατίλιο,ότι νιώθεις τη ζέστη,την ξηρασία,το έδαφος να δονειται κάτω απο τα πόδια σου.Βλέπεις το υδραγωγείο,τις κολώνες του,τα τούνελ του ,ακούς τη βουή του νερού.Περπατάς στους πολύβουους δρόμους της Πομπηίας και ανεβαίνεις στον Βεζούβιο. Οι περιγραφές του είναι εξαιρετικές και δεν γίνονται ποτέ κουραστικές.Και όταν φτάνει η ώρα της έκρηξης ψάχνεις μέρος να κρυφτείς. After a day in Pompeii -- my mother claims I walked through every single house: not true, some are inaccessible -- I heard people on the platform of the Circumvesuviana local train talking about this book. I was being fussy about everything else I was reading, so I grabbed this on the Kindle store and kicked back with it (once we eventually got back to Rome, anyway; I read The Map of Time on the Eurostar). It's a quick read, and reasonably accurate to the interpretations of what happened in Pompe After a day in Pompeii -- my mother claims I walked through every single house: not true, some are inaccessible -- I heard people on the platform of the Circumvesuviana local train talking about this book. I was being fussy about everything else I was reading, so I grabbed this on the Kindle store and kicked back with it (once we eventually got back to Rome, anyway; I read The Map of Time on the Eurostar). It's a quick read, and reasonably accurate to the interpretations of what happened in Pompeii. Obviously, it invents things, and I don't know nearly enough detail to know exactly what, but what I do know, for example the appearance of the explosion and the details about Pliny, seemed accurate. Obviously, as other people have observed, there can be no suspense about whether Vesuvius will erupt or not -- spoiler: it did, and Pompeii was destroyed; that's just historical fact, like the sinking of the Titanic. But there can be atmosphere, and there are several subplots -- a romance, civic corruption, the work of the engineers on the aqueducts... These are mostly well handled, though I couldn't believe in the love story -- mostly, I felt it was spoilt by the ending, which was a bit too... easy. Think you have pressure at work? Consider Marcus Attilius Primus. He just received an important promotion from Rome. The young engineer is now the Aquarius, in charge of the immense aqueduct serving the entire bay of Naples. His predecessor has mysteriously disappeared. His workers are surly. The water supply is interrupted. And then he gets on the wrong side of one of the richest men around, a cruel former slave, the behind-the-scenes political boss of Pompeii. Of course, he does have a very be Think you have pressure at work? Consider Marcus Attilius Primus. He just received an important promotion from Rome. The young engineer is now the Aquarius, in charge of the immense aqueduct serving the entire bay of Naples. His predecessor has mysteriously disappeared. His workers are surly. The water supply is interrupted. And then he gets on the wrong side of one of the richest men around, a cruel former slave, the behind-the-scenes political boss of Pompeii. Of course, he does have a very beautiful daughter who appeals to Attilius for help. There’s trouble bubbling up for our hero, and it’s not just political corruption, bribes, missing persons, and bad plumbing. There’s something very strange about the high, flat-topped mountain close to the aqueduct. Odd rumblings, strange gases, and earth tremors have been coming from Vesuvius in the past few days. خيبت توقعاتي هذه الرواية.. كنت أتوقع أن تكون أجمل بكثير ، مملة ومكثفة جداً بالكاد أنهيتها.. In a little over seven hours, one thousand, nine hundred and thirty-six years ago Mt. Vesuvius will have finished the eruption that created the tourist attractions that we know today as Pompeii and Herculaneum. Having experienced the eruption of Mt. St. Hellen in 1980, and know first hand what the ash fall was like, as a resident in Portland, Oregon, the time sequence and statistics of the volcanic events were fascinating! The story of the Aquarius, Attilius and the Roman water syste Explosive!!! I’ve loved science, and particularly geology, from a very early age, and chose a science class in 5th grade that focused on volcanoes, so my interest is long standing. I think a non-fiction book about this eruption, if it contained all the known information and conjectures, might have been an even better choice for me. I got used the fictional story and it did provide a fairly good backdrop for the setting and happenings in that time and place. There is a very long build up though. At times the story had me rolling my eyes and laughing in places where I’m sure it wasn’t meant for the reader to laugh, which surprised me given the author. It read very much like a cheesy soap opera at times. Particularly at the end there were things I both loved and hated in the historical fiction story. I was left conflicted about whether to give this book 3 or 4 stars. I suspect that I might be upping it a star because I’m so fascinated with the events, and perhaps it should be the other way around and I should downgrade it. I did like the characters and events that seemed to be based on history, and was touched a few parts at the end, but overall the whole narrative seemed like something I had to get through to find out exactly what happened at Mount Vesuvius in 79 AD. I’d already read some accounts so I had an idea of what to expect. For me the story did drag at times, and that shouldn’t happen with this subject matter! For all my complaints, the fictional story was a good vehicle to tell the geological story and its toll on the area and its inhabitants. I was impressed by the Romans’ accomplishments, and learned quite a bit about their culture. Of course, I loved the map (I frequently referred to it) and the description/names of time keeping and calendar in that era Rome, and really appreciated the informative quotes from non-fiction books that are at the beginning of every chapter. I was dismayed that in the last few pages the author’s words/musings has me suspecting that he might be a denier of human caused climate change. 4.5 stars. Not 5 because there were one or two frankly cheesy bits! Robert Harris brings the eruption of Vesuvius to life in this account which starts 3 days beforehand when the signs were there for anyone with sufficient knowledge to recognise. Sadly, few were in that position but thanks to Pliny's eye witness account, the knowledge was made available to future generations. This is a fascinating account of the build up to the eruption, with each chapter headed by a quote from a scientific journa 4.5 stars. Not 5 because there were one or two frankly cheesy bits! Absolutely fantastic, and entirely unputdownable. At first you're unsure what kind of route Harris is going to take on Vesuvius' eruption as it opens with talk of aqueducts and engineers, but in the space of a few hundred pages, he recreates the bay of Naples vividly and realistically, so you really do feel get an idea of the timescale and the emotions, all built in to this great read. Nope. Not for me. I almost DNF this book. When I willed myself to read it, I just skimming it without understanding the story. كيف تكتب عن كارثة؟ هذا هو السؤال الذي سيجابه أي كاتب روائي يحاول نزع الصفة الإخبارية عن كارثة ما، وإبراز الوجه الإنساني منها، مشكلة هذا النوع من الكتابة هو أن الكوارث ضخمة، معقدة في أسبابها وأحداثها وآثارها، ومتضمنة في داخلها الكثير من البشر، فلذا يلجأ الكتاب إلى الحيلة إياها، أي التركيز على وجوه من وجوه الكارثة، وجعله الصورة الكبيرة، أو الرمز للكارثة، وتعريف القارئ على عدد محدود من الشخصيات التي ستتعرض أو ستتأثر بهذه الكارثة، وعادة يتعرف بهم القارئ قبل حدوث الكارثة حتى يمكن له أن يبنى معهم علاقة عاطفية مبكرة، ويتفاعل مع معاناتهم فيما بعد. فكرت بهذا وأنا أفرغ من رواية الكاتب الإنجليزي روبرت هاريس (بومبي) والتي تناولت كارثة مدينة بومبي التي ضربها بركان جبل فيزوف في الرابع والعشرين من أغسطس سنة 79 م، مدمرا ً ودافنا ً إياها مع من بقي من سكانها. ما الذي ميز كارثة بومبي عن الكثير من الكوارث البركانية المماثلة؟ أمرين الأول هو أنها كانت كارثة منسية، حيث طوت الأرض المدينة وبقاياها لألفي عام حتى لحظة الكشف الأثري لها في القرن الثامن عشر، الأمر الثاني هو أن التنقيب الأثري لم يكشف فقط عن خرائب بومبي، وإنما عن شيء آخر أكثر إثارة، أجساد سكانها وقد تجمدوا بذات الوضعيات التي كانوا عليها في لحظاتهم الأخيرة، بهذا الكشف قفزنا زمنيا ً إلى لحظة الكارثة، إلى اليوم الأخير والدقائق الأخيرة قبل أن تطمر بومبي بالمقذوفات البركانية والرماد، اقترب إنسان العصر الحديث كثيرا ً من تلكم الكارثة، أقرب من أي كارثة أخرى، وصار يمكنه أن يعيد تركيبها ومشاهدتها – وهذا ما فعلته قناة الـ BBC في فيلمها الوثائقي (Pompeii: The Last Day) حيث تم تركيب قصة درامية تحاول الاستفادة من وضعيات الجثث في تركيب قصة ذلك اليوم، حيث نشاهد أسرة تتجمع حول ابنتها الحامل، وسيدة غنية هربت إلى منزل مجالدين وماتت هناك -. كانت هذه بومبي المدينة والكارثة والآن لنتحدث عن بومبي الرواية. لا تبدأ رواية بومبي لروبرت هاريس في بومبي بل في مدينة ميسينيوم التي تقع على الجهة المقابلة من خليج نابولي، عند عنق الحذاء الإيطالي، وكل تلكم المدن المتقاربة بومبي، ميسينيوم، هيراكولوم، أوبلونتس، ستابيي ونولا كانت مدن رومانية، تابعة لسلطة القيصر الروماني حينها تيتوس، وكانت كلها تحصل على المياه من القناة المائية (أكوا أوغوستا) التي أنشأها الإمبراطور أغسطس. يصل إلى مدينة ميسينيوم المهندس – يلقب بالساقي في ذلكم - (ماركوس أتيليوس بريموس) قادما ً من روما، ليتولى مسئولية القناة خلفا ً للساقي السابق اكزومينوس الذي اختفى فجأة. هذه المهمة تواجه اختبارها الأول سريعا ً حيث تبدأ المياه في النضوب من الخزان الرئيسي لمسينيوم، مترافقة مع رائحة كبريت، عندها ينطلق أتيليوس مع فريق من تابعيه للبحث عن سبب هذا العطل بعدما توقع وفقا ً لأخبار سمعها من بعض القادمين إلى ميسينيوم أن موقع العطل قريب من مدينة بومبي، هذه المهمة التي تبدو روتينية تتم في اليوم السابق لكارثة بومبي، وتمنح أتيليوس وتمنحنا وتمنح الكاتب فرصة استعراض مدينة بومبي في أيامها الأخيرة، حيث نكتشف حجم الفساد السياسي والمالي للمدينة، وسيطرة إمبلياتوس على مجلس المدينة، وهو عبد سابق أعتقه سيده وأثرى بعد الزلزال الأخير الذي ضرب المدينة قبل سنوات، حيث بقي إمبلياتوس وقام ببناء المدينة من جديد مستخدما ً كل الأساليب الممكنة، وأحد هذه الأساليب كان الحصول على المياه الرخيصة من القناة، عن طريق صفقة كان قد أبرمها مع الساقي السابق اكزومينوس، ولكن مع اختفاء هذا الأخير، واحتلال أتيليوس منصبه، يعرض عليه إمبلياتوس الصفقة ذاتها، يرفض أتيليوس العرض بأنفة، فيمده إمبلياتوس بالمساعدة التي يحتاجها في مهمة إصلاح القناة ولكنه يخطط في الوقت نفسه للقضاء عليه بعد إنجاز المهمة. ينطلق أتيليوس ويتمكن من إصلاح القناة بمساعدة تابعيه والعبيد الذين قدمهم له إمبلياتوس، ولأن موقع العطل كان قريبا ً من جبل فيزوف يكونون شهودا ً على بداية ثورة البركان، حيث يهرع العبيد عائدين إلى بومبي ترافقهم كوريليا ابنة إمبلياتوس والتي كانت قد فرت من منزل والدها الذي يحاول إجبارها على الزواج من ابن مالكه السابق وعضو مجلس المدينة، وجاءت إلى أتيليوس لتنذره مما يضمره والدها له، ولكن أتيليوس يقنعها بالعودة إلى المنزل وقبول حياتها رغم مشاعره تجاهها، يتعرض أتيليوس بعد هذا لمحاولة قتل ينجو منها، فيعود إلى مدينة ميسينوم حيث قائد الأسطول الروماني والمؤرخ العجوز المهتم بالطبيعيات بليني والذي يقود حملة إنقاذ، مصطحبا ً معه كاتبه، مقدما ً وصفا ً شاملا ً للحادثة، جعلت ذلكم الشكل من الانفجار البركاني يسمى الآن في علم البراكين بالثوران البليني، حملة بليني تفشل سريعا ً، وتجنح السفن التي جاء بها إلى مدينة ستابيي وتكون نهاية بليني هناك، ولكن وصفه والأوراق التي كتبها عبده خلال الرحلة تصل إلى يد ابن أخت بليني والمعروف تاريخيا ً باسم بليني الأصغر. يغادر أتيليوس - قبل هذه النهاية الحزينة لبليني - الحملة عائدا ً إلى بومبي على قدميه مخاطرا ً بحياته، كل هذا لينقذ كوريليا من المصير الذي ساقها إليه بكلماته ونصائحه، وبالفعل يلتقي بها هناك والمدينة تعيش الكارثة بتفاصيلها المرعبة، وينجح في إنقاذها من جنون والدها الذي احتجز العائلة كلها في مشروع الحمامات العامة الذي كان يقيمه مراهنا ً على أن المدينة ستنجو من هذه الأزمة كما نجت من أزمة الزلزال السابق، وأنه سيعود منتصرا ً وغنيا ً مرة أخرى، ينهي هاريس روايته بأسطورة نلمح منها إمكانية نجاة أتيليوس وكوريليا وخروجهما سالمين من بومبي باستخدام القناة المائية. -	رواية (Fatherland 1992): وهي من روايات التاريخ البديل، حيث يتخيل الكاتب كيف سيكون العالم لو أن ألمانيا النازية انتصرت في الحرب العالمية الثانية، الرواية كانت من الروايات الأفضل مبيعا ً في بريطانيا بثلاثة ملايين نسخة. -	(Archangel 1998): عن مذكرات ستالين المفقودة. -	(The Ghost 2007): وهي رواية غموض سياسية حولت إلى فيلم بعنوان (The Ghost Writer 2010) أخرجه رومان بولانسكي، وأداه إيوان مكريجور، وبيرس بروسنان. His fourth thriller after “Fatherland”, “Enigma” and “Archangel”. It tells the story of Pompeii via character of am Aquarius (water engineer maintaining the incredibly advanced roman aqueducts” – Attilius. He is concerned that water is failing (and contaminated with sulphur) also his predecessor has mysteriously disappeared – all of it seems to lead to Pompeii and a ruthless ex-slave who made his dishonest fortune rebuilding the town after an earthquake (and who seems to have diverted water with His fourth thriller after “Fatherland”, “Enigma” and “Archangel”. He is concerned that water is failing (and contaminated with sulphur) also his predecessor has mysteriously disappeared – all of it seems to lead to Pompeii and a ruthless ex-slave who made his dishonest fortune rebuilding the town after an earthquake (and who seems to have diverted water with the connivance of Attillus’s predecessor). Attilus falls in love with his daughter. Mystery then leads to Vesuvius itself – where he finds his predecessor’s body. Papers of his predecessor seem to show that he had suddenly realised the links between phenomena of Vesuvius and of his home area around Etna but died investigating these. Another major character is Pliny – the famous scholar with his nephew (Pliny the junior) a minor character (it is through these two that much of the details of the eruption are actually known). Good but not brilliant book – was hard to really understand descriptions either of engineering or of the eruption. Book captures well both the technological achievements and sheer richness of the Roman Empire but also the resulting complacency and decadence. The prelude has an explicit allusion to the position of the US at the beginning of the 21st Century. Harris has given us a wonderful version of what it would have been like to go through the eruption of Vesuvius. His main character is an engineer, a water engineer. The engineer is an unassuming character dedicated to his work. We experience the eruption through the eyes of this engineer and because of this point of view, the story takes on more meaning and immediacy. It is this point of view that really makes the story for me. It's obvious that Harris has done his research. As I read the novel I Harris has given us a wonderful version of what it would have been like to go through the eruption of Vesuvius. His main character is an engineer, a water engineer. The engineer is an unassuming character dedicated to his work. We experience the eruption through the eyes of this engineer and because of this point of view, the story takes on more meaning and immediacy. It is this point of view that really makes the story for me. It's obvious that Harris has done his research. 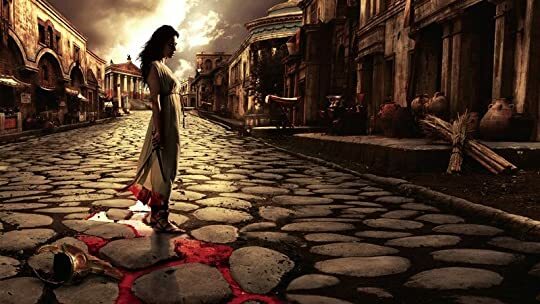 As I read the novel I was taken back to the city of Pompeii that I saw as a tourist. But it is now a city that is much more alive for me than ever before. Mein erster Harris und ich liebe ihn. Tolle Geschichte auch wenn das Ende bekannt sein dürfte. Ich bin ja von Pompeji richtig begeistert und war auch schon zwei mal bei der Ausgrabung. Deshalb war ich auch etwas skeptisch was den Roman angeht. Aber Harris hat eine spannende Geschcihte um die Katastrophe gebaut die mich überzeugen konnte. Ab und an hat er sich ein wenig viel künstlerische Freiheit genommen. Aber auch damit konnte ich leben! I was curious how Robert Harris would write a novel about the day Mt. Vesuvius erupted and buried the city of Pompeii. Could he make it interesting? How would he go about it? I'm a sucker for apocalyptic movies. I discovered within the first few pages that Harris used a couple of tried a true methods that are used in those movies. First, we all know what's going to happen, so he starts with a countdown, beginning two days before the eruption. Next, each chapter is prefaced with an interesting fac I was curious how Robert Harris would write a novel about the day Mt. Vesuvius erupted and buried the city of Pompeii. Could he make it interesting? How would he go about it? I'm a sucker for apocalyptic movies. I discovered within the first few pages that Harris used a couple of tried a true methods that are used in those movies. First, we all know what's going to happen, so he starts with a countdown, beginning two days before the eruption. Next, each chapter is prefaced with an interesting fact about volcanoes and the havoc they wreak. Many of these facts are physical clues that serve as early warnings of the horror that is about to happen. I gave this book 4 stars because the protagonist (Marcus Attilius Primus) and I share the same profession - that of being a civil engineer. I was fascinated by the Aqua Augusta, the aqueduct that brought fresh water to people in nine towns around the Bay of Naples including Pompeii. True, we all at least know what happened in Pompeii due to the eruption of Mount Vesuvius. So at first I was a bit unsure about reading this fictionalized account of one of the most infamous cataclysms in human histor I gave this book 4 stars because the protagonist (Marcus Attilius Primus) and I share the same profession - that of being a civil engineer. I was fascinated by the Aqua Augusta, the aqueduct that brought fresh water to people in nine towns around the Bay of Naples including Pompeii. There's a lot of potential in this story but it falls flat. I'm a big time enthusiast of Ancient Rome but after some 80 pages or so I found myself being challenged to continue. The main problem seems to be that the suspense level isn't cracked up enough and most of the characters aren't compelling enough. Pliny was the most compelling character. CHARACTERS/DIALOGUE: B minus; STORY/PACING: C; HISTORICAL CONTENT: B ; OVERALL GRADE: C plus to B minus; WHEN READ: December to January 2011. I fell in love with how he fell in love with her. How he went back for her, despite everything was ending, despite all the endings. Diesmal konnte mich die Geschichte nicht packen.